Purse Search Ireland is an exciting fisheries conservation project that involves public participation, so that means you can take part! The project is basically a massive nationwide search for mermaids’ purses, the eggcases of sharks, skates and rays. We’re hunting for these eggcases because they can provide valuable information on the location of nursery areas for Ireland’s egglaying sharks, skates and rays. Information on nursery areas is crucial for effective conservation management and protection of vulnerable species. It’s also important for the sustainable development of our fisheries. So if you are a keen beachcomber and have seen a mermaid’s purse on any shoreline around Ireland, we would love to hear from you! For details of what to do when you see a purse, click here. If you’d like to do more, you could organise a dedicated eggcase hunt, which provides us with even more information. 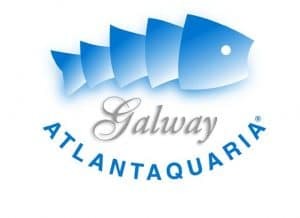 The more information that we receive from you, the more successful the project will be in terms of being able to provide something positive for marine conservation in Ireland. We are most grateful to the following organisations for their generous support through funding and donations to the programme in previous years. We are currently seeking sponsors for a new programme plan that we are developing for the medium term from 2020-22. The citizen science programme aims to build on existing knowledge, while also continuing to monitor critical habitats and nursery areas for threatened species of egglaying shark and ray in Ireland. Please do get in touch if you would like to support the project as we would love to hear from you.